‘Cabaret’ is a haunting reminder of the past. "The federal government can shut down, but La Mirada will never shut down!" This proclamation is met with cheers from the audience. Much like the patrons of the Kit Kat Klub, we too are turning to song and dance to forget about our respective countries' political troubles. La Mirada Theatre's production of "Cabaret"—with book by Joe Masteroff, music by John Kander, and Lyrics by Fred Ebb—transports it audiences to Berlin, Germany, 1931. Directed by David O, this deliciously raunchy show switches between witty, cabaret-styled songs and passionate ballads to comment on the relationships between Sally Bowles and Cliff Bradshaw, and Fräulein Schneider and Herr Schultz. However, the show isn't all scandalous numbers and frivolous love. Fear starts to take over as the characters slowly learn what the audience has known for years—a storm is coming. Jeff Skowron is electric as the brightly made-up, corseted Emcee. A fabulous showman, he welcomes the audience into the smoky world of the Kit Kat Klub, and is absolutely scintillating—especially with his army of showgirls Rosie (Natalie Iscovich), Helga (Adrianna Rose Lyons), Fritzie (Kelly Powers-Figueroa), Frenchie (Nina Schrekengost), Lulu (Candace Janin Washington), and Texas (Jenna Wright). Zarah Mahler is brilliant during the sultry "Mein Herr," allowing her anger to break through the cracks in her "performer face" façade. Unfortunately, she and her handsome Cliff (Christian Pedersen) lack the passionate chemistry one would expect out of a couple of free spirits. However, there is a noticeably deep feeling of warmth between Jack Laufer and Kelly Lester in their sweet and simple portrayals of Herr Schultz and Fräulein Schneider. They are the true heart of the show, and the crumbling of their engagement after a particularly chilling rendition of "Tomorrow Belongs To Me," is heartbreaking. Unfortunately, this production of "Cabaret" fell victim to its venue, which was just too large and polished to be the gritty Kit Kat Klub. There was no shroud of mystery, no layer of grime. The set was grand, but felt a bit out of place. However, the show is a real eye-opener in how terrifyingly topical it is. 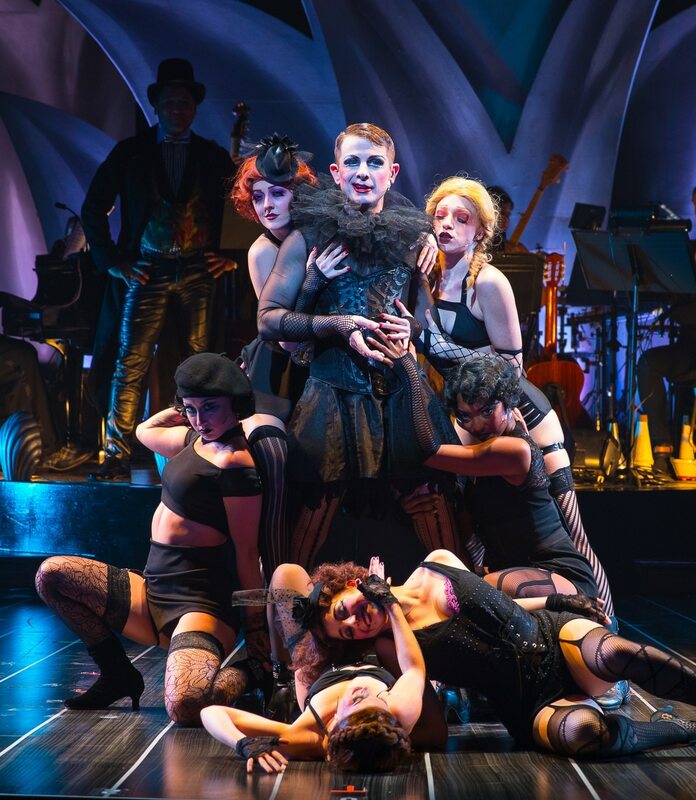 "Cabaret" is an important reminder of what can happen when we don't stop evil in its tracks. "Cabaret," will be playing at La Mirada Theatre until February 11th. Tickets range from $20 – $70 and can be purchased at La Mirada Theatre's website, www.lamiradatheatre.com or by calling the La Mirada Theatre Box Office at (562) 944-9801 or (714) 994-6310. Student, Senior and group discounts are available. Julia Stier is Annenberg Media's theater and dance editor, part of the pop culture team.